Amber joined us in November 2016. 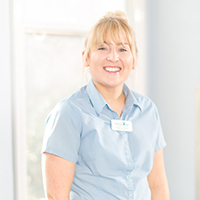 She has kept pets all her life and previously worked in a customer care and people facing role. Amber has got to know the clients and pets at Barton Lodge and helps us to provide great customer care. She also has a dog called Charlie who is a really friendly boy.